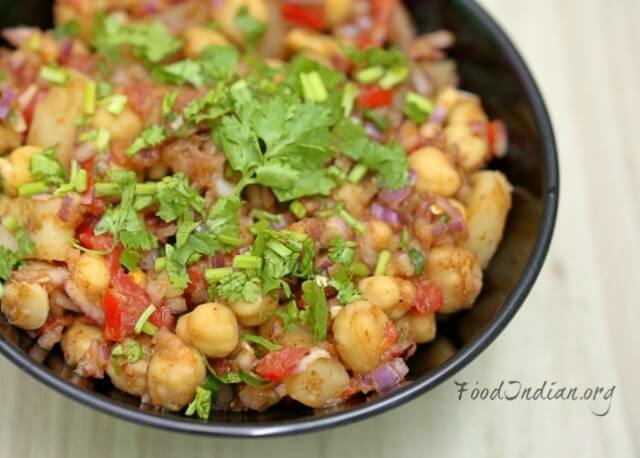 Chana Chaat is a very quick snack recipe to satisfy your sudden craving for street food kind of brunch. 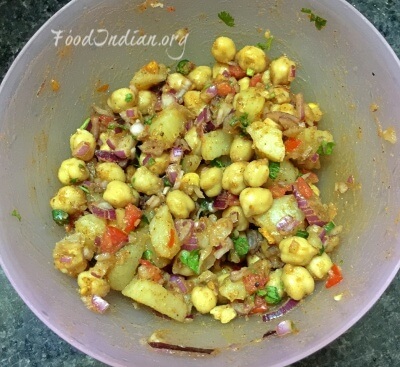 It’s an oil free chaat that works as a great salad too. 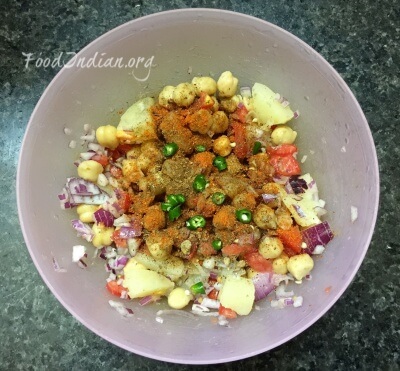 You can use either black chickpeas, green chana or kabuli chana to make this chaat. 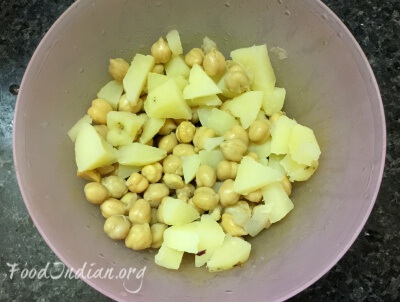 Here I have also used boiled potato to increase the taste of the chaat, but you can simply skip that step and can adjust the spices as per your taste. Soak the chickpeas for 8-9 hours. Boil the potato and cut into small cubes. 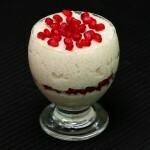 Now in a large bowl, take boiled chickpeas and boiled potato. 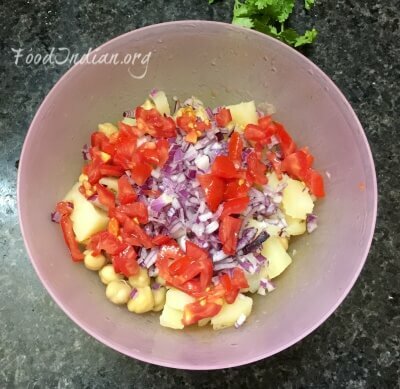 Add chopped onion, tomato, green chilli, salt and all the dry spices. Mix all the ingredients very well with a spatula. 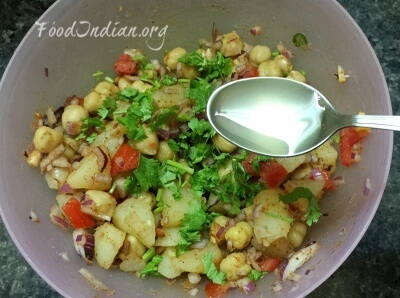 Now add chopped coriander leaves and lemon juice into the chaat and give a good mix. 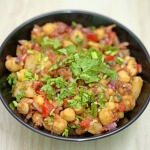 Serve your Chana Chaat fresh or chilled. 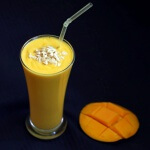 You can also add some crushed pani puri or papri into your chaat before serving.